A tunnel client you download and use on your local machine. The Auvik collector you’ve downloaded and deployed on a client’s network. By default, there's a maximum of 20 tunnel sessions allowed per client, and you’re only allowed 5 personal tunnel connections for a single client. Once these limits have been reached, no new connections are allowed. Before you’re able to start a tunnel connection to a client device, you must install the tunnel client. The installation needs to be completed against each desktop or server you plan on using for connecting to the client’s devices. By default, the tunnel pop-up shows the version based on the operating system you’re logged into the clients Auvik dashboard with. The tunnel client is supported on the following operating systems. The client only needs to be downloaded and installed once per operating system you plan on using to establish a tunnel connection. From a device dashboard, hover over the Remote Management button and click Remote Tunnel. The email address associated with your Auvik account. The API key associated to your user. 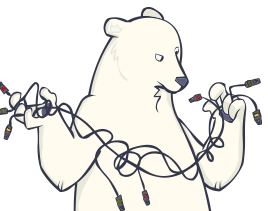 Confirm if you’d like to use the default installation path (/Users/nanook/auvik/Auvik Tunnel) by typing y. If you’d like to set the install path, type n.
Enter your Auvik email address. Type y to confirm the email address entered. To update the email address, type n.
Type y to confirm the API key entered. To update the API key, type n.
For a Linux installation, be sure the correct version was downloaded. If you’re running a 32-bit install of Linux, you’ll want to install the 32-bit client, rather than the 64-bit client. Confirm the installation by typing y. Typing n will stop the install. Type y to confirm the installation path set. To change the directory, type n.
From the start menu, search for Command Prompt (cmd). Confirm if you’d like to use the default installation path (C:\Users\nanook\auvik\Auvik Tunnel) by typing y. If you’d like to set the install path, type n.
If you haven’t installed the Auvik tunnel client, do that first. If you don’t have the device details handy, you can establish a tunnel connection to a client’s device from the Auvik device dashboard. If you have the device details handy, you can use the advanced connection method. * NOTE: Port 6666 is considered malware by most browsers. If you’re planning on a remote browse connection, we recommend you pick a different port for connecting. Select the protocol that will be used for the connection: TCP or UDP. If the device has more than one IP address, from the Device IP dropdown, select the appropriate IP address. Enter the device port to use. The port must be in the range of 1 to 65535 (*). Enter a local port to use. The port must be in the range of 1 to 65535 (*). If no local port is specified, a random port will be used. Click Connect. A .tunnel file will be downloaded. Now that you've configured the tunnel for the device, time to start the connection. Navigate to your downloads folder to locate the downloaded .tunnel file (e.g. : nanook-196438391117574404.tunnel). Double click the .tunnel file. Now that the connection has been established, you can move on to accessing the device using your favourite connection tool. If you have the device details handy, you can establish a tunnel connection to a client’s device by running a command to start the tunnel connection. If you don’t have the device details handy, you can always use the basic connection method. For Apple macOS and Linux users, open a terminal session. For Windows users, search for command prompt, right-click and select Run as administrator. In the terminal/command prompt window, change the directory to where the client executable was installed. Verification of discovery services (SNMP, SSH, Telnet). This is great if you need to check some commands against the device. For any of these, open your favorite tool for establishing the connection, for example, Microsoft Remote Desktop. Open the RDP tool, enter localhost:7777, and connect. While the remote tunnel connection is active, you’ll be able to see the status of all remote tunnels, as well as your own active connections, from the client’s dashboard. As well, there's an audit log that shows details about who has established a connection. Once you're done with your tunnel connection, simply enter Ctrl-Z or Command-Z to terminate the connection. You can also disconnect a connection from the client’s Auvik dashboard.